Inspired by Jenny of Missouri Star Quilt Company I purchased the Twister template. Having downloaded the layout plan for a Wreath I adapted the colourway to take advantage of some Autumn-coloured fat quarters of cotton fabric that I had in my stash. Here is the completed project. 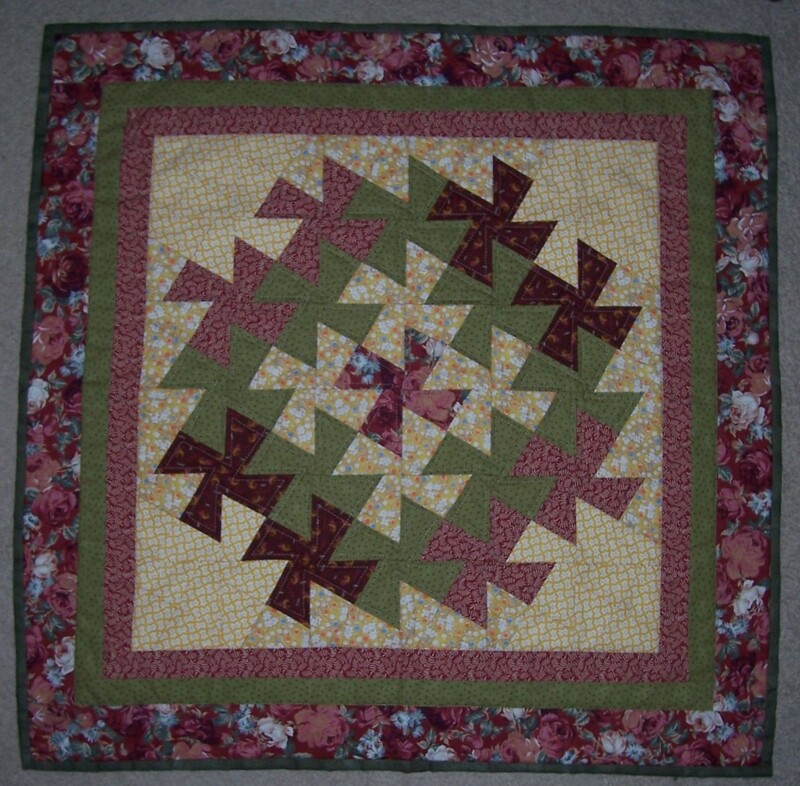 A table topper measuring approximately 27″ (69 cms) square. 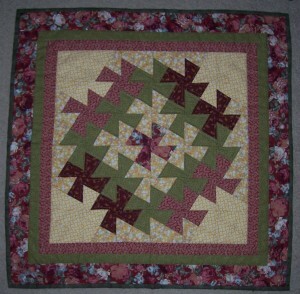 I am delighted with the result and will no doubt make a larger piece of “random” twister lap quilt later in the year.